November 21, 2017 – Cape May, NJ – The Diocesan Housing Services Corporation of the Diocese of Camden, Inc. (DHSC), MDG Design + Construction, LLC, and Hudson Valley Property Group (HVPG), announce the closing of Victorian Towers, a refinancing and renovation project that will result in the investment of more than $8 million in capital improvements to this 205-unit senior housing development located at 608 Washington Street in Cape May, New Jersey. The refinancing will preserve the affordability of Victorian Towers for 20 additional years while renovations will provide necessary upgrades to the units and property. Originally constructed in 1973 to house low-income seniors, Victorian Towers is a six-story development containing 205 studio and one-bedroom apartments as well as 82 parking spaces located near shopping, medical, and public transit services. Renovations will include improvements to the units; a redesigned lobby with a seating area; and a complete overhaul of over 2,000 square feet of community facilities. Exterior work includes the installation of easily opened and closed windows and a new Victorian-styled facade. Efficiency upgrades include new AC units and water conservation measures such as the installation of low-flow toilets, shower heads, and faucet aerators. The scope of work also involves the creation of 10 fully accessible units designed in accordance with the Americans with Disabilities Act, including several units for the hearing and visually impaired. DHSC has managed Victorian Towers for decades and will continue to remain involved with the property for the long term to continue serving its residents and the Cape May Community. As development partners, MDG and HVPG will bring substantial financing and development resources to the project, and will continue to be a partner of DHSC post-renovation. “We are proud to be partnering with the Diocese to further its mission in providing its low- to moderate- income earning Cape May residents with high-quality affordable housing. We are grateful to NJHMFA and the HUD RAD program for providing the programs and support to make this project a success,” commented Jason Bordainick, Managing Partner and Co-Founder of Hudson Valley Property Group. 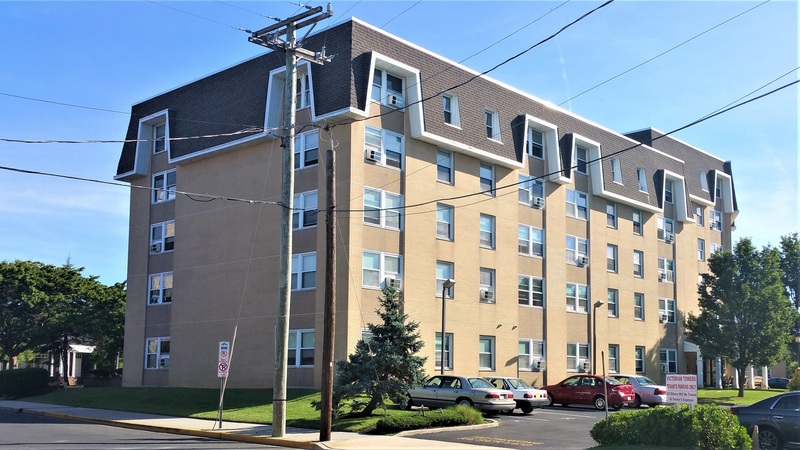 Upon completing the refinance and rehabilitation of Victorian Towers, 194 units will remain affordable through a 20-year Project-Based Rental Assistance (PBRA) agreement, while the balance of the units will remain affordable through the HUD Section 236 program. The project utilizes the NJHMFA Conduit Bond Program, equity generated from the sale of 4% Low Income Housing Tax Credits. DHSC and MDG/HVPG will serve as co-general partners on the project. This is the third joint venture between MDG and HVPG and their first in partnership with DHSC. MDG and HVPG previously completed the preservation and rehabilitation of two low-income HUD housing developments in Brooklyn, New York and North Amityville, New York, a suburb of Long Island.